IoT: Where Are We Now and Where Are We Going? 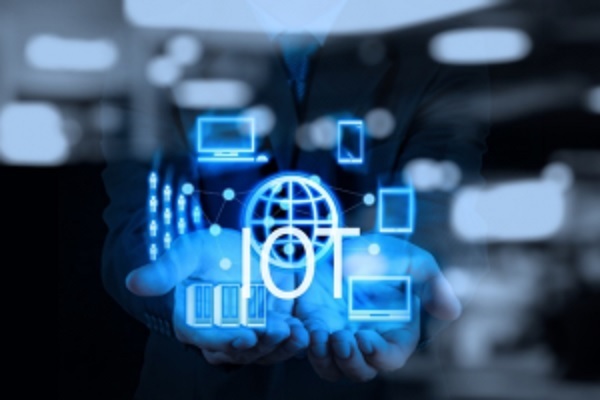 The Internet of Things (IoT) is increasingly present in our daily lives, at work, in the home and in the public sphere, making the world a more connected place. In fact, 2020 will see at least 20 billion connected devices across the globe. So, let's take a look at the most common iterations of the IoT at the moment, and what we can expect to see in the IoT landscape over the next 5 years. Many people's first experience of the IoT comes from their domestic life. There are hundreds of connected devices available to buy without breaking the household budget, from Google's Assistant software to smart "Nest" thermostats. People can use their voices to control their surroundings, making their homes and lives more connected than ever before. Smart homes also give us extra peace of mind, as IoT-enabled tech can connect owners to their home at all times. Thanks to wearable technology, more people are starting to carry IoT capability around with them. Smartwatches like the Apple Watch mean our wrists are now synched with mobile devices and associated services. Additionally, the proliferation of wearable fitness trackers such as Fitbit, which provide instant data about users' workouts, has changed the face of the wider fitness space. The world of work is changing to accommodate wearable IoT devices too. Employers are now introducing wearables into the office and onsite workplaces, allowing remote information sharing and optimization of employee processes. What can we expect over the next five years? As IoT tech is adopted within the home, we'll also begin to see its application in wider urban neighborhoods, towns and cities. "Smart cities" will streamline services and improve infrastructure – provided they have the right connections and data. Issues like traffic congestion and pollution are among the problems the IoT can solve when smart technology is built into a city. Early schemes are already at work in Barcelona and Southampton, UK – other cities are sure to follow suit with innovative and smart technology over the next few years. Most high-end cars being sold today already have a high degree of connectivity, and the automotive industry is not going to slow down in delivering optimal user experience and embracing the IoT. Car manufacturers over the next five years will drive a revolution in how people both buy and use their vehicles. Increased accessibility will mean you can adjust car temperature, check mileage, or even start the ignition from an app. Also, with more control over cars at all times, users will benefit from better security. The IoT is transforming every day physical objects like phones, watches and cars and creating an ecosystem of information that will enrich our lives. As more and more things enter into the digital fold, the IoT is en route to becoming the defining disruptive technology of our time.